Hi, this is Benni, I will be your host for this week. Perfect picture by Belita for last week's theme. Stunning. The other day I was taking pictures of white birds and realized, as I have before, that white is everywhere, yet can be challenging to photograph. So I came upon this week's theme: White. 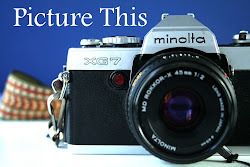 Your shots don't need to be Black and White, although they can be, just any picture that has a white object in it. The main thing is to have fun! And also remember, some of us post later, so don't forget to check back and comment. I, myself, stagger towards the coffee pot when you have already posted, so my comments are always late. Did I mention to have fun? Here are mine to start you off. Snowy egret with minnow supper. Statue of a lion near my Florida house. I did this in B/W because the greenery in the background was browning and distracting. 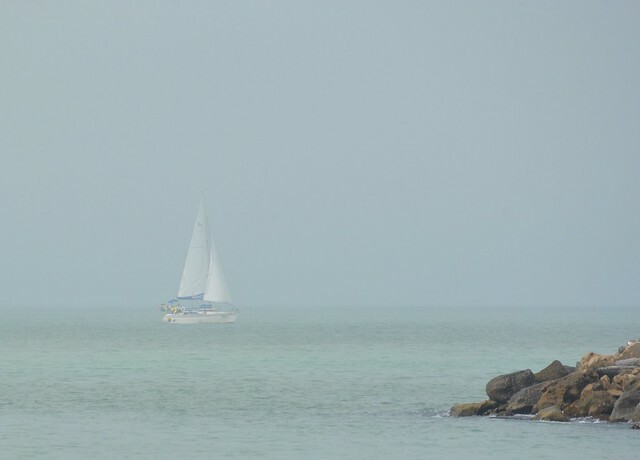 Sailboat heading into the mist. Hi Benni thanks for a great theme and four great images to get us started, I really like them all but the sailboat and the BW Lion particularly caught my eye. Hi Benni !! many thanks for hosting this week. I really like your theme....white is often overlooked as a colour, but it's the most important one when thinking about light. Fantastic shot of the Egret 'walking on water'. I had to post one of my Egret shots, too!! 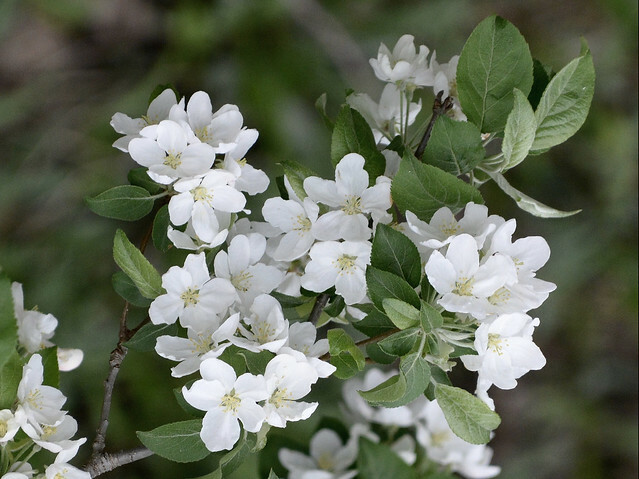 Lovely apple blossom. Hopefully not too long now before it starts appearing here. 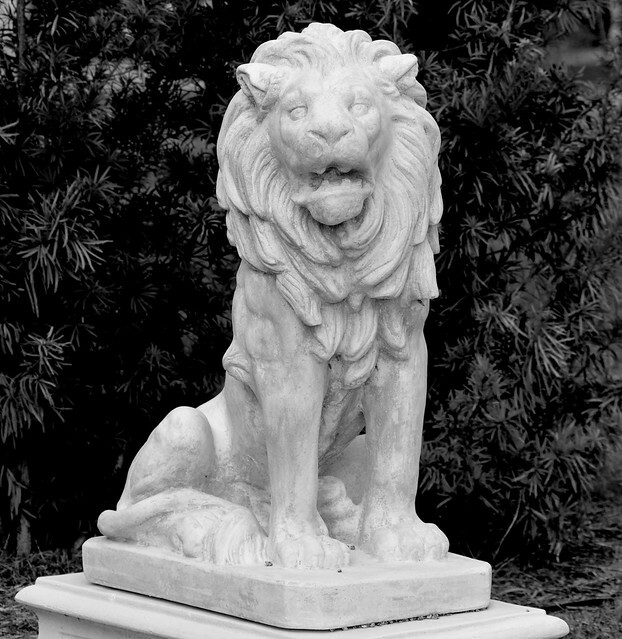 I think that lion statue would have been perfect in B&W regardless of the background...it' just lends itself to B&W. Love the sailboat in the mist. Hi Beni! Godo to have you hosting this week's Challenge. 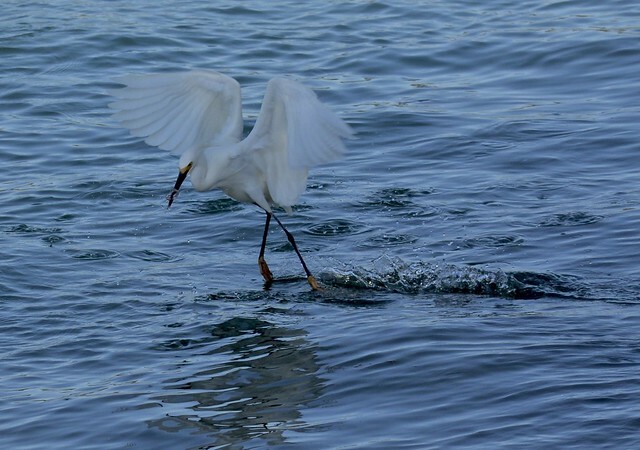 Love the selection of the photos for the theme of your choice, the pirouetting of the egret, namely.